Has anyone put CBR Fairings on there Superhawk? Anyone know what model CBR swingarm will fit? I think 00-05 will work because the Pivot Bolt is a tad bit longer but shouldnt be an issue. What model CBR sub frame will fit? I'm thinking of putting 05 CBR Fairings on my bike or maybe Ducati and going with a Race look but not sure if or how many problems I will have. I'm thinking that it would work but will have to make mounting brackets instead of stock. I'm getting ready to order these and plan to post all the pics through this project and will look like a newer CBR Race Bike when completed. I'm also going to run a under seat exhaust and thinking of making a single. The shortest possible answer I can give is that the search function has answers for every question you just asked here... All of it. CBR fairing swap, swingarm swap, subframe swap, tail section swap, ducati tail, are all possible terms to use when searching. I spent hours and days going through the forums trying to find my answers but only was able to find bits and pieces. 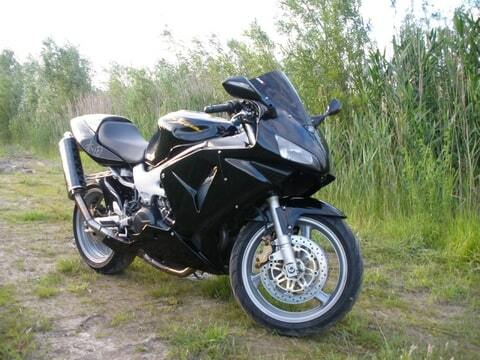 Right now I'm mainly focused on 04-05 CBR Fairings. I'm sure I can probably find something in the search engine that will help with the rest. I think I can pull this off if I make my own Fairing mounting brackets. Would like anyone's opinion. That's it. Anything is possible if you can "make the brackets," LOL. As always, as you promised, PICS AS PROOF, please, whatever you do. I seen the single sided swing arms done and thinks its pretty cool but I wouldnt do it. 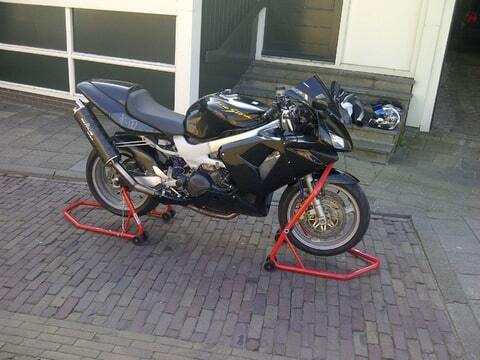 Im planing to put a newer looking 04-05 CBR Swingarm on once I complete fairings and sub frame. On the sub frame I was thinking it would probably be better just to buy it use off eBay so it will match up with the tail and have less modifications especially since they are only about $75 and seen cheaper. Ok so the reason why I'm doing all of this is because I had a Psycho Ex destroy my bike with a 3 ton floor jack handle and didn't realize until then that I love my bike more than her....lol. I'm wanting to get my bike put back together ASAP without to much hassle. Later in the near future I'm wanting to put a 08-09 R1 Rear Tail and sub on with underseat exhaust and I chose the R1 because the Undertail is made for the Underseat exhaust. I plan to post pics from start to finish and sure I will need lots of advise and opinions. My plan is to make my 99 Superhawk look like a MotoGP Race Bike when completed. I appreciate all opinions and any help through this project. Last edited by erno; 03-14-2013 at 04:26 PM. Erno, did the 05 Sub go on easy or did you have to do any mods? Looks really good. 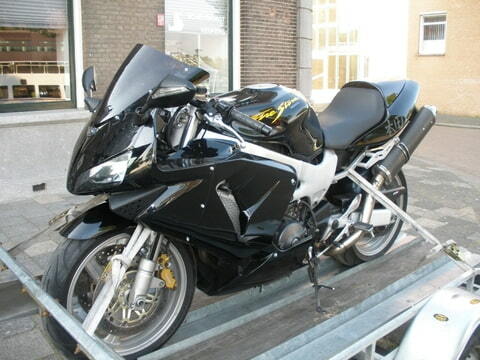 I'm buy a whole set of 05 CBR Fairings for my bike. Do you think I will have any issues putting them on? Im going to buy stay bracket, headlight and tail light. More than likely the mounting brackets will be the only issue "I Think" but plan on making them myself. I really can't wait to get started on this project cause I already know when I get done it will look sweet with what I have planned. My rear sub/frame had to cut 55mm from middle due to extending the btm tab,wanted it to look factory. If you know how to tig weld great ,or if you have a mate even better. I seen the pics and all you listed in the Forums and is definitely gonna help with my project. Thank You!! KingX, are you putting on different fairing so your ex wont recognize the bike or so its cheaper? The #1 cheapest way is to buy the Chinese full fairing set on ebay for like 400 clams. Most guys on here have done the RC51 fairing which looks great and are a closer match being a vtwin. But gsxr fairing bolts right up to my sv650 so it cant be that hard. 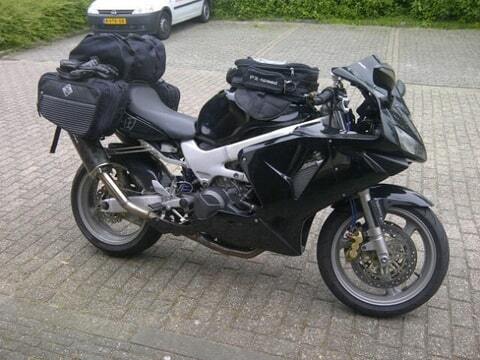 I did a mock-up in 2009 with some 600rr fairings i had laying around. Looks like it will work pretty easily. There was room for the radiators and even the bottom fairings seemed to fit. A few brackets would have to be made but nothing a weekend with some steel, a vice and drill press wouldn't fix. The headlight some be no problem, just modify the wire harness. The fairing stay should even work with minor modification. Click the 600rr Superhawk link below for pics. Last edited by superdutyd; 03-15-2013 at 07:54 AM. Smokin, my bike is destroyed and gonna post some before pics when I get started. The reason I was gonna go with CBR is because tanks come with the kits and will save a little and yes I dont want her to recognize my bike ever again.....lol. Also can get a 04-05 headlight for $60-$75 and tail lights for $20-$30. If this will work then it will save me hundreds of dollars. I'm open to options and if a GSXR kit will work then I will start planning. What year? Thanks Superduty, what year was the 600RR Fairings? Wonder what the difference is between the 600RR Fairings and 1000RR Fairings. From my research I have found only 600RR Fairing Swap. That cbr fairing does look awesome. I have wanted to do it for a while but for me its like unnecesary surgury. Plus I dont exactly need more projects right now. Post pics of the build and dont confuse craziness for love or anything. There are millions of non crazy chicks out there. Not that I havent gone around with quite a few psycobitches. When you say to Mod wiring harness should I buy harness that goes with the light or could I splice and put connectors on wiring? Thanks for all the help. Thank You Tweety, had no clue it would be that much work involved. Swingarm will have to wait until never....lol. I will ask around and try to find a good fab person that knows what there doing and take that route. Tweety, you have been on the forums for a while I see. I have searched for gas tank swap and haven't been able to find much of anything. Do you know what gas tank will fit? Decided to go with RC51 fairings to make things much easier on my project but don't want to pay hundreds of dollars on a SH tank. Thanks!! Get a '01+ 19L (stock 16L) tank from Euroland, if you want an endurance look/better range there are also custom 21-25L tanks available or get one made up. Alternatively VFR tank fits (just) with some rejigging. 25L tank > www.vtr1000.org &bull; View topic - Me petrol Tanker pics! Keep searching as gas tank topic comes up very often. Last edited by Wicky; 03-17-2013 at 04:01 PM. Both bikes look really good. Looking on eBay and found a some nice VFR800 tanks for a reasonable price. They look to fit but what do u need to know before making this purchase? Thank You for all the help. Wicky, seen that already but don't care for the huge gap between the frame. If that's the only way to modify the VFR Tank then I would much rather stock. My tank is bashed pretty bad. I'm going to take to a fab shop and see if they may be able to cut the top off, fix then weld back on. Sure it would be cheaper if I could find another but running out of options. cbr 600 f4i fairings on the Hawk? SUPERHAWK CBR RC 51 REAR CALIPER-NEW CHEAP! Quick Reply: CBR Fairings on Superhawk.